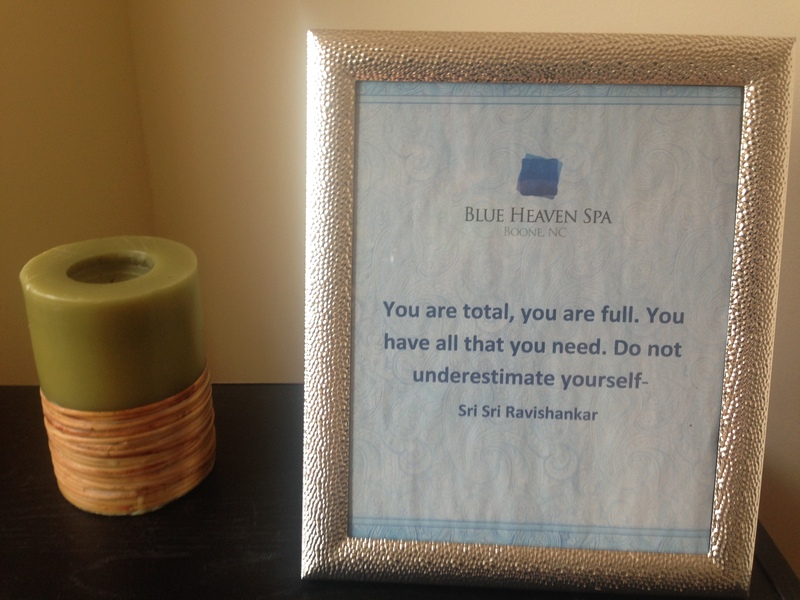 Blue Heaven Spa uses Ayurevedic techniques as a holistic approch to help balance your body, soul, and mind. 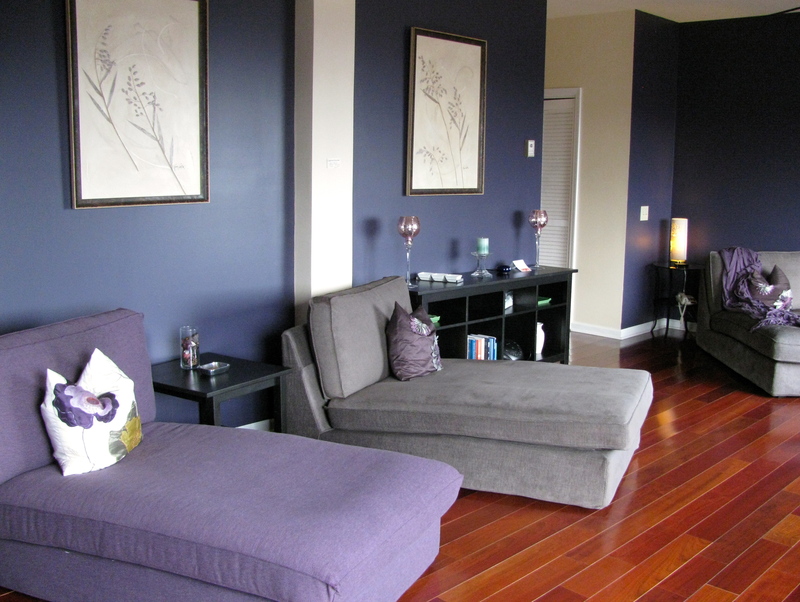 The staff helped me determine what my goals for treatment were prior to my arrival in the spa. In my case, stress relief and treatment of a sore lower back were at the top of my list. I booked the Abhyanga and the Katti Basti treatments back to back, based on that phone consultation. Abhyanga Massage is an ancient massage technique within the Ayuredic method of healing. Prior to my one hour massage, I met with Heather, my knowlegable Ayurvedic therapist. We discussed my current health. This consoletation was much longer and more indepth than previous spa consulations I have encountered. We discussed my body, mental wellness, and diet. She was not rushed and she spend a good deal of time talking with me about the treatments while I enjoyed some tea in the pretty relaxation room. Relaxation Room with a beautiful mountain view. Heather began my treatment with a rhythmic massage of my scalp in an upright, seated position at the end of the massage table, facing her. The treatment is quite intimate due to the silence in the room. I was also not use to having eye to eye contact with a therapist. Heather instructed me not to talk during my massage during my consultation, and that she would remain silent as well. I found this silence a little uneasy for me at first. My conversation with Heather prior to my treatment helped answer the many questions I had. The information she shared with me, allowed me to ease into a peaceful state and enjoy the treatment. The silence was part of the philisophy of the treatment. I was repositioned, face down and warm sesame oil was massaged into my body to help release toxins and relax the nervous system. The strokes were not unlike a Swedish massage, long, slow, and a light to medium pressure. I have had hundreds of massages over the years but this was my first one done in complete silence. Because of my meditation practice, I was comfortable with silence, but I can imagine that is might seem odd to someone who has only visited a typical Western spa with the usual sounds of nature or light music playing in the back ground. It is in this silence that we can look inward and reflect.This treatment was ment to treat the mind as well. Many thoughts came to my mind about my body, spirituality, and my idea of what massage is, and can be. It was amazing to receive authentic Ayuvedic treatments in such an beautiful setting. In Boone of all places! Mindfulness sets the tone at this spa. At the conclusion of my first treatment I was covered with a warm blanket and left to rest while my therapist prepared the dough dam to be used in my next treatment for my back. This time on the table in silence provided me a profound meditation. I felt a sense of equinimity with other spiritual practitioners and a deep sense of respect for thier practices. I sank into my setting and enjoyed the serenity. I could see the beautiful mountains through the window. I was in a very peaceful state. Have you every experienced an Ayurvedic spa treatment and what was your thoughts on it? No special consideration was given to me other than being a paid guest at the Blue Heaven Spa. This is my life. huge thumbs up for the excellent info you have right here on this post. topic, made me in my view imagine it from numerous varied angles. Its like women and men are not fascinated unless it is something to do with Woman gaga! Your personal stuffs outstanding. Always take care of it up! Outstanding story there. What occurred after? Best of luck!